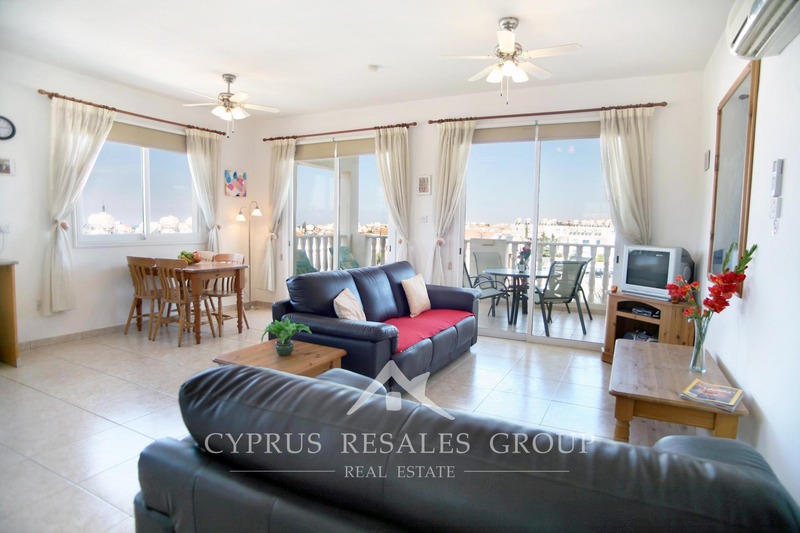 Here is a rarity – a 2nd floor penthouse apartment in Universal area with a lift! 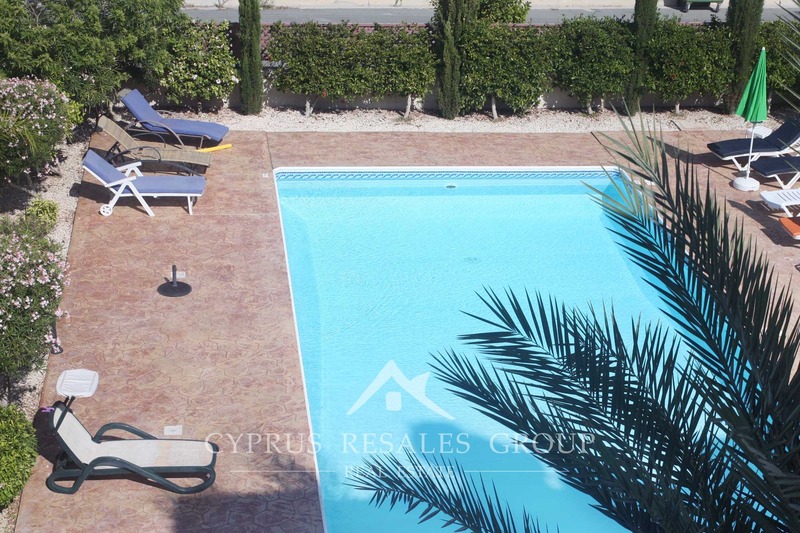 Built in 2005, this exceptional property occupies one of the most central locations next to the legendary Pambis Diner in Universal area. 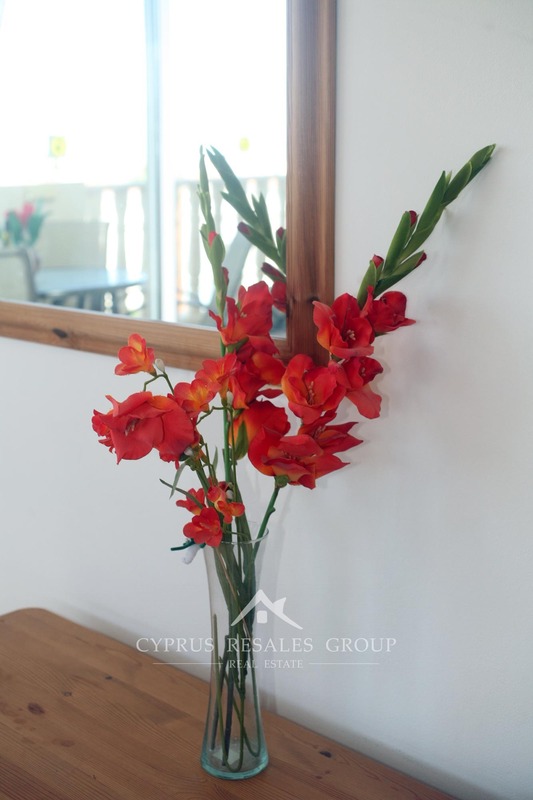 Diana 49 is a very well kept apartment complex that follow the traditional design of respected builder G&V Hadjidemosthenous Ltd. Large verandas with balustrades, generous room sizes and feature pool surrounded by lush gardens – all come as standard in this Diana project. 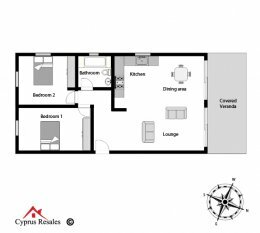 Inside this bright apartment welcomes you with an open plan area incorporating a large kitchen, dining area and a lounge. 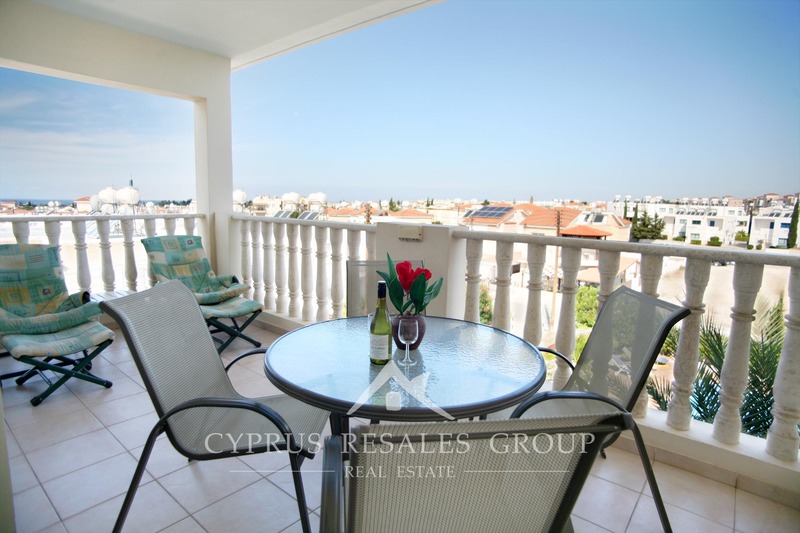 Two sets of patio doors open onto the covered veranda that looks across the common swimming pool and gardens. 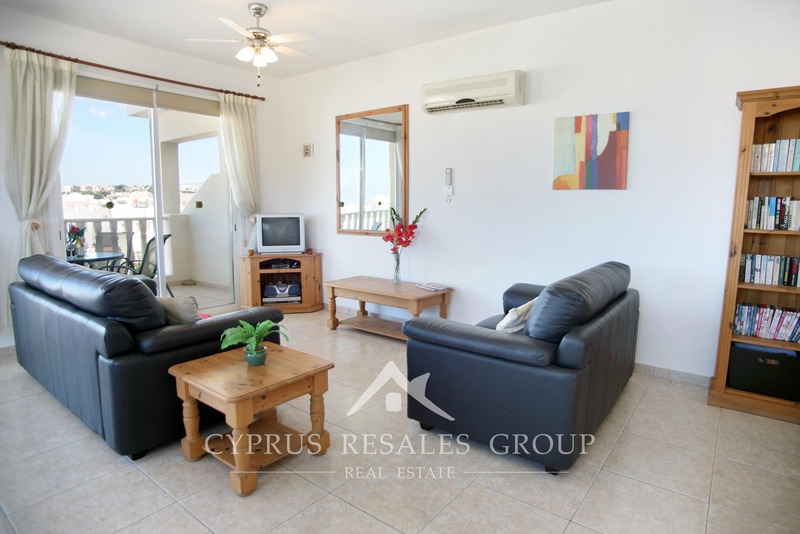 This is indeed a great space to relax and soak in beautiful mountain views or be tempted by the sea to the West. 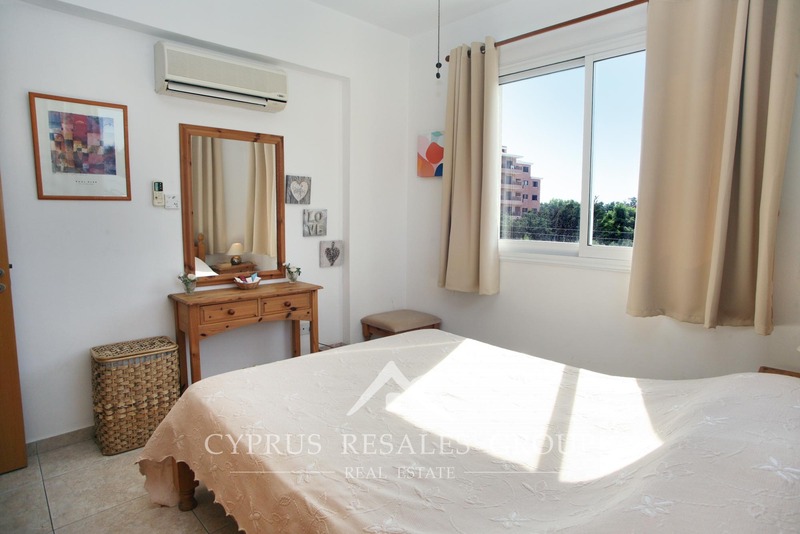 Both double bedrooms are very well proportioned and come complete with integrated wardrobes. 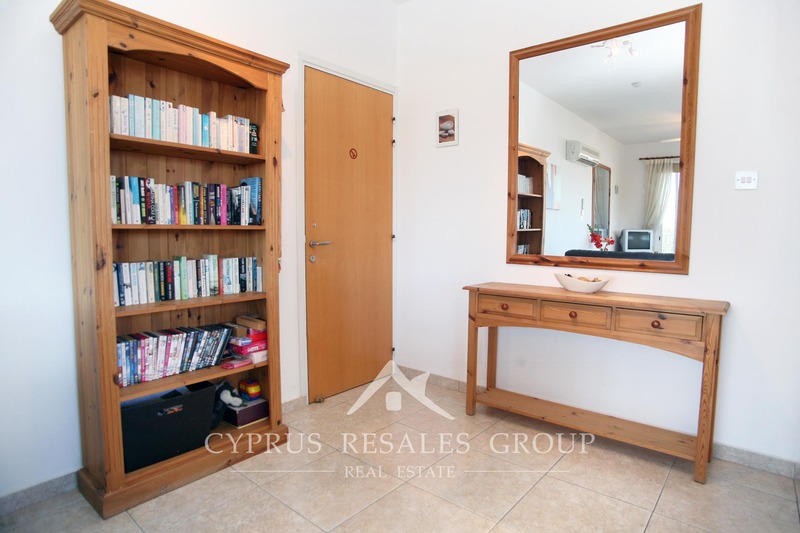 A full size family bathroom is located just off the living room. 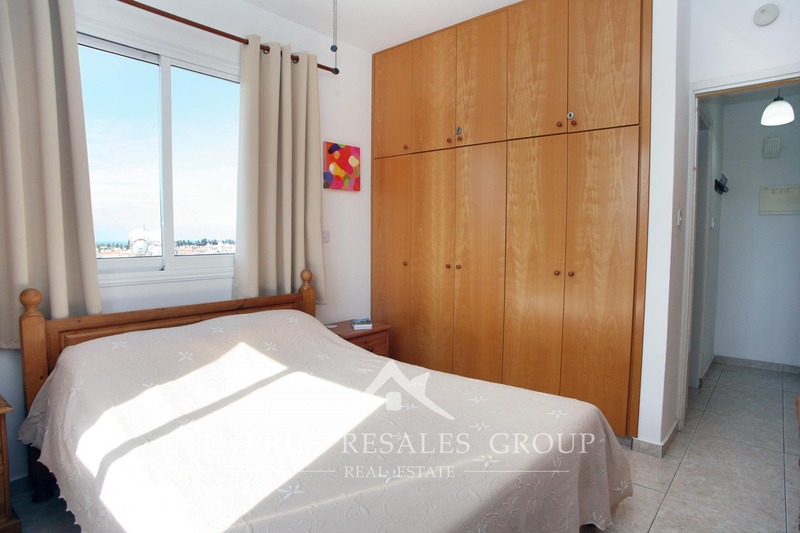 Allocated storage locker and private parking make this flat a very practical choice. 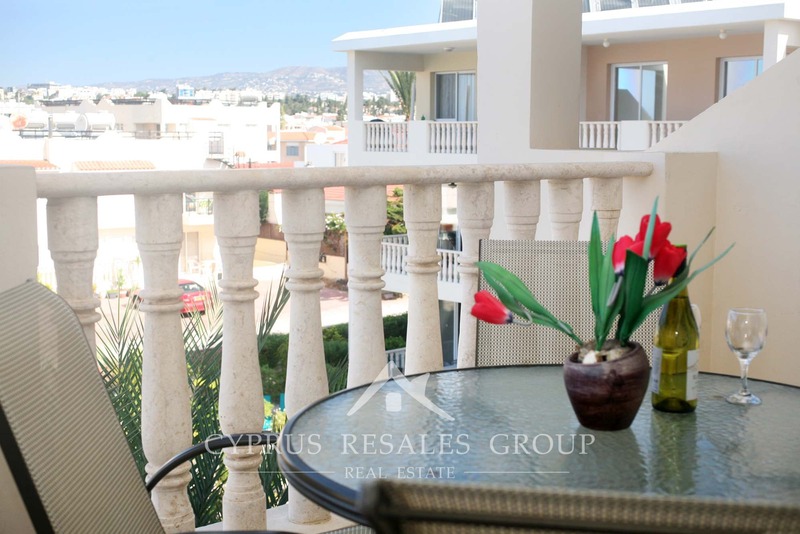 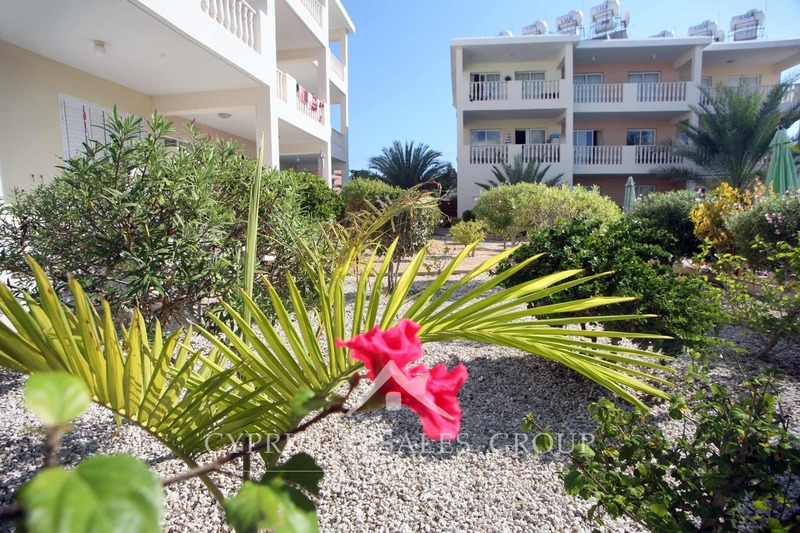 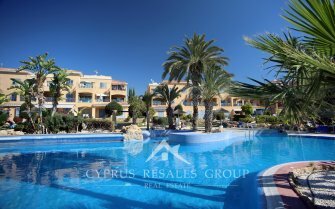 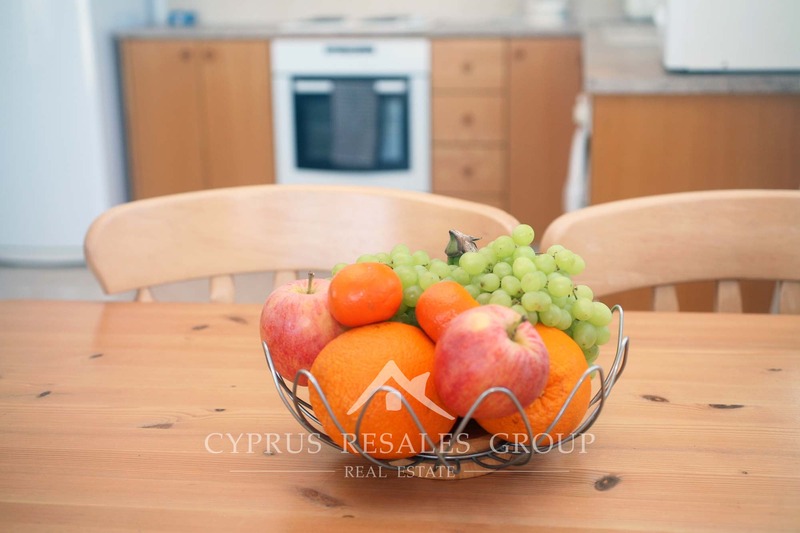 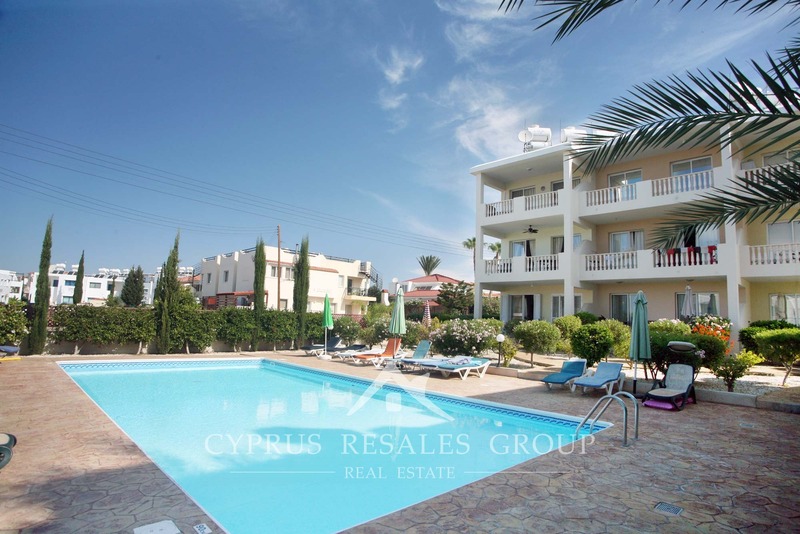 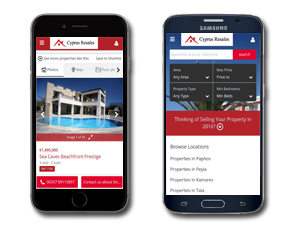 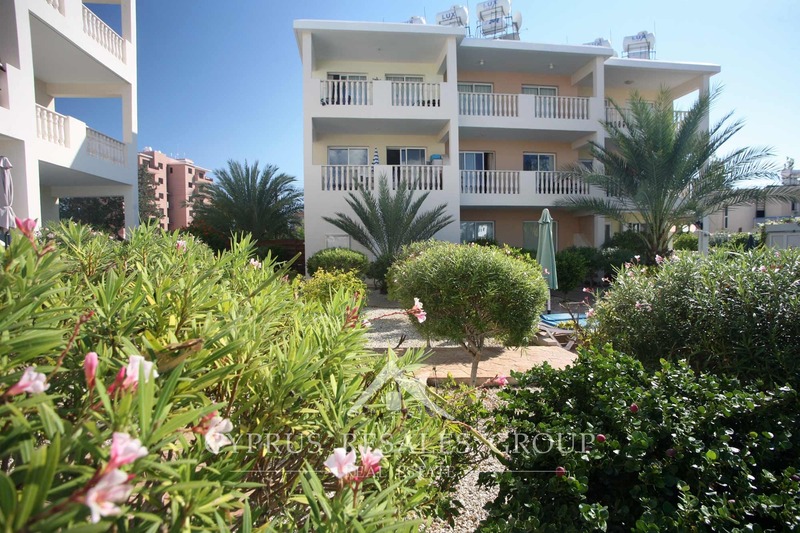 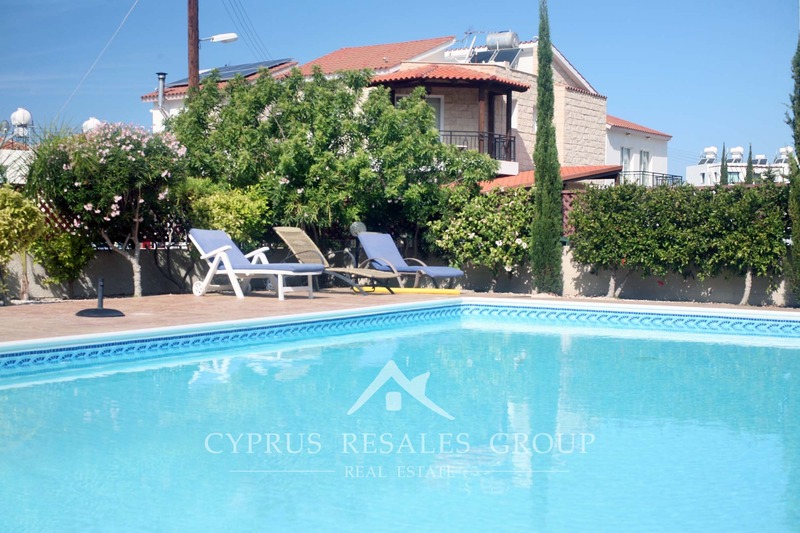 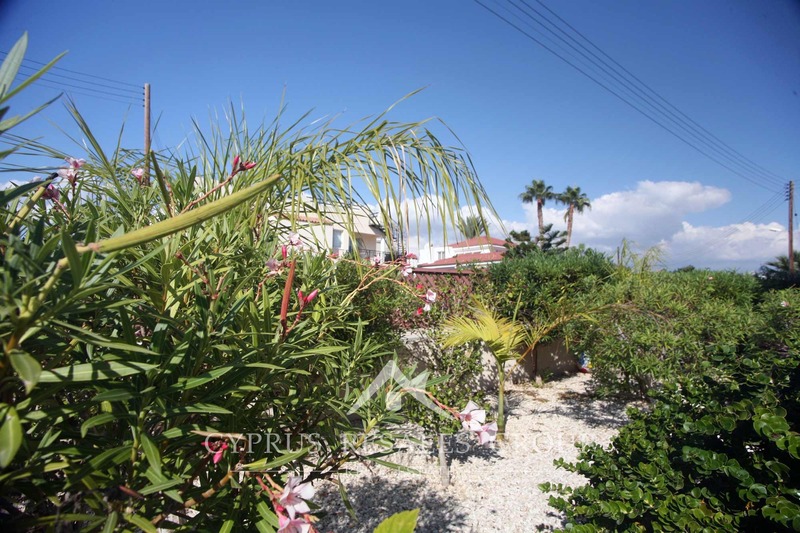 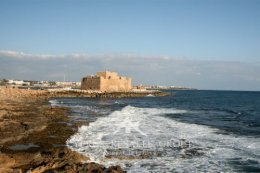 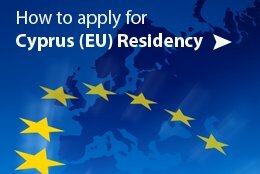 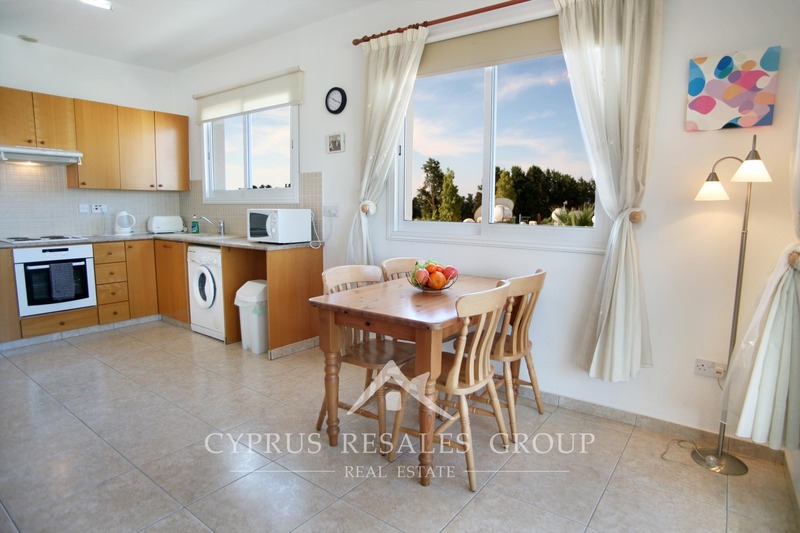 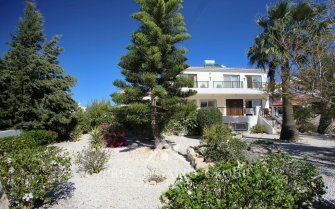 Another great quality resale listing with TITLE DEEDS from Cyprus Resales estate agency in Paphos.